When I describe crowdfunding to my friends that aren’t totally tuned in to the business scene in Canada, I usually get two immediate reactions. The reason is that we have provincial securities regulators in each province and territory. One of their responsibilities is to protect investors from taking on too much unwarranted risk. These regulators might not trust crowdfunding schemes because they might be vulnerable to fraud. But also, you just have to consider the fact that about half of startups fail within three years of lift off. So the logic goes that allowing individual investors to stow their savings away in the equity of early-stage companies is too risky. But what if allowing crowdfunding actually helped to change that risk equation? Opening up the investment market in a peer-to-peer model that lets startups court customers before they even have a product or service could actually help reduce business failure. Crowdfunding could not only be a method for businesses to raise money, but also an approach that helps businesses recognize their failures more quickly. Take the model used by Kickstarter, the Web site that allows U.S.-based firms to do crowdfunding. Firms there sell the products or services they are going to create once they’ve raised enough money to do so; Waterloo, Ont.-native Eric Migicovsky sold $10 million worth of the Pebble smartwatch using this technique. But if Pebble hadn’t sold like hotcakes, then it wouldn’t have raised the money to build them. It would just not make the product that no one wants to buy. 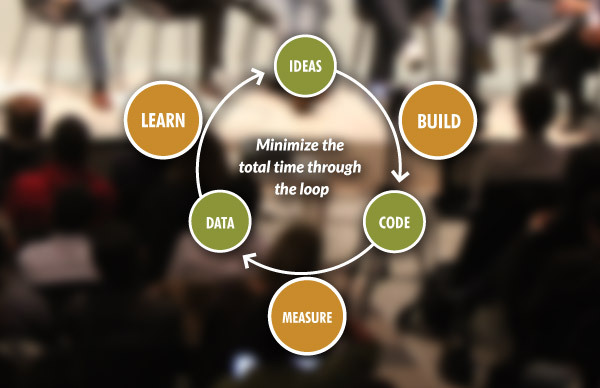 It’s an approach that Eric Ries, author of The Lean Startup would approve. His model for creating businesses flips the old model of building a product or service, then funding it with a wad of venture capital, then marketing it to the target customers and hoping for the best. Instead it encourages businesses to reach out to their target market and find their pain points. Conducting research and experiments to see what might be a winning innovation, and acquiring customers before a product even exists. It’s a model that can be executed thanks to free or low-cost Web tools available to anyone. Kickstarter extends that approach to the next logical step. Sell your product directly to customers before it exists. If enough buy it, you build it, and if not, you know it’s not going to be a winner without having spent any resources on creating it. That hardly sounds risky to me. Brian Jackson is the editor of ITBusiness.ca. Tune in to ITBusiness.ca on Monday, July 16 at 7 PM ET to join a live webcast and live blog coverage of a fireside chat with Sherwood Neiss, a crowdfunding architect.